So… it’s been about a million years since I posted anything but a book review… And there’s more of those coming… August is, after all, Romance Awareness Month. I’m shooting for a review every weekday of the month, starting with Joanne Bischof’s Though My Heart is Torn on Thursday. In other news, we spent a week in Florida – 5 days at Disney, 1/2 a day at the beach, 1 at Sea World and 1 at Islands of Adventure where my oldest two girls and my sister spent about 4 hours in Harry Potter World. 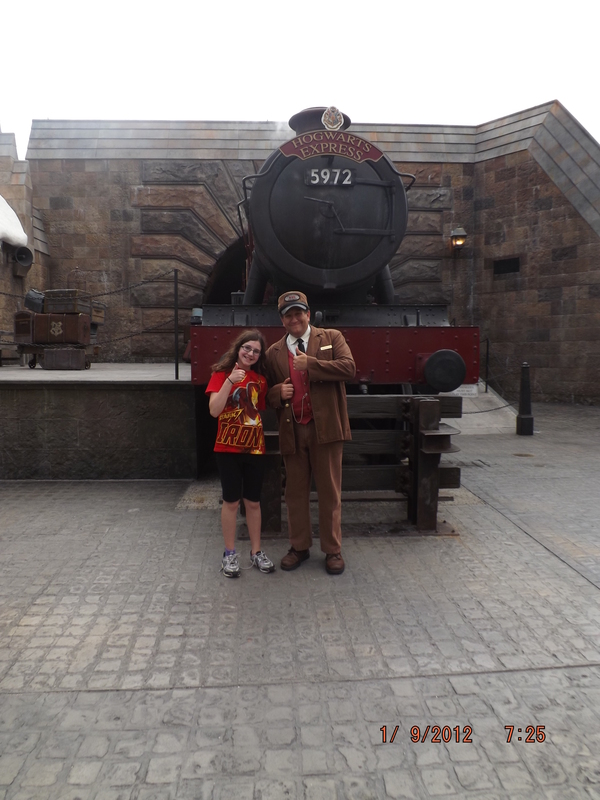 They had a blast and rode the Harry Potter ride multiple times. They did the walking tour of the castle [I have no clue what any of this stuff is… ;)] then went into the single rider line which had a 10 minute wait instead of a 90 minute one. You can’t see the people you’re riding next to anyway [I rode it later]. 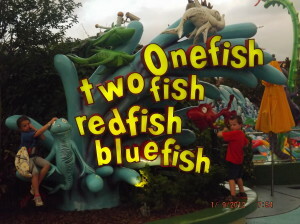 Then the guy let them all ride together anyway ;). More souvenirs from there than just about anywhere. 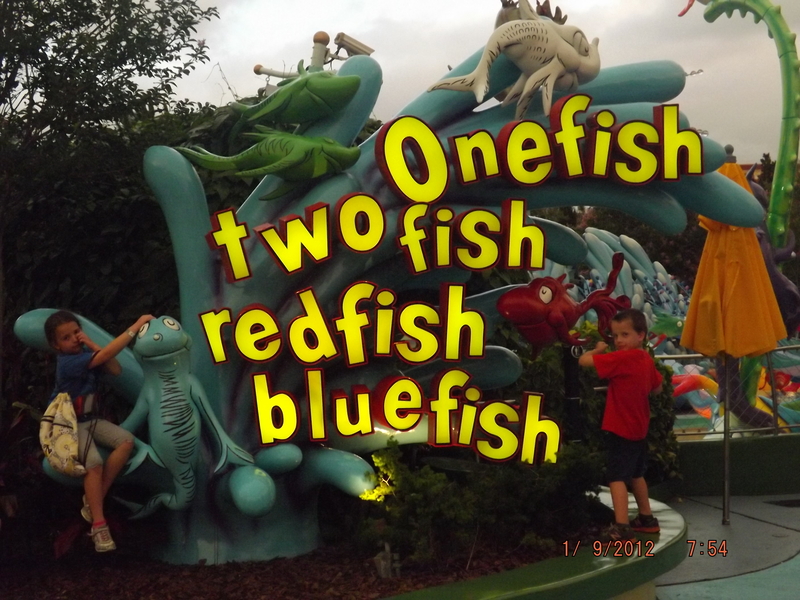 While they all hung out at Hogwarts, me and the little two kiddos went to Dr. Seuss world. There are no straight lines and everything rhymes. Great fun!!! 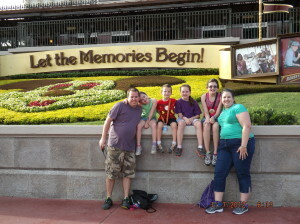 It was a very long, very tiring 10 days but I’m so glad we went. There were moments of great stress. And moments of great fun. My kids fought Darth Maul [pics another day] and one wimped out of fighting Darth Vader [who can blame her?! ], we met Mickey Mouse, we drove 2500 miles together [with my sister who joined us]. 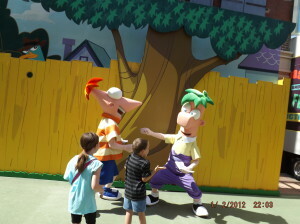 We got to meet Phineas and Ferb as they used the kids’ giant pencils to sword fight. Ferb won. Phineas and Ferb. They remind me of my friend Amy. I’ve mentioned her before as a blog you should be following [she hasn’t posted in quite some time thanks to a busy summer] over at Potentially Lovely, Perpetually Human. 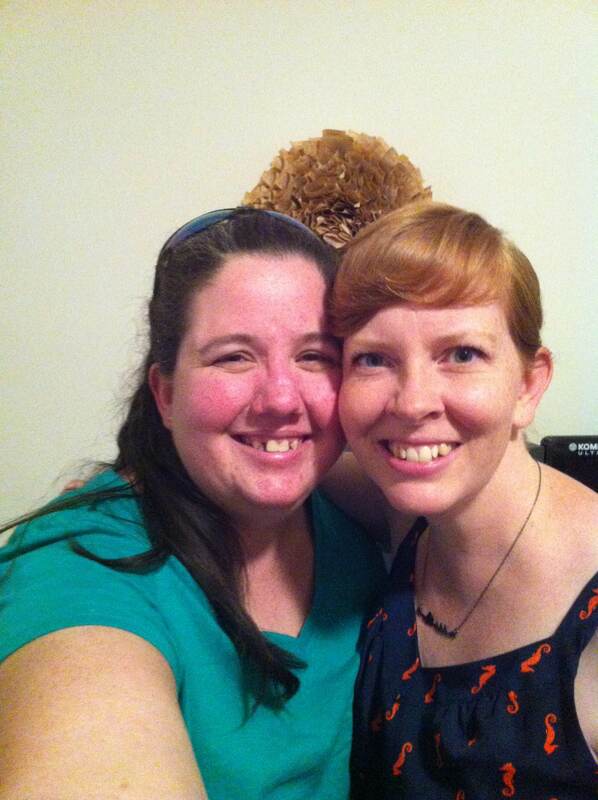 And I got to see Amy! We went to school together from 1st-12th grade [except maybe 4th?] and I’ve only seen her twice in 20 years. Thank God for Facebook!!! But as we drove through the Atlanta area, I stopped to hang out with one of my oldest friends [not that neither of us are OLD mind you!] for Five. Whole. Hours! Not even close. But we talked and ate and talked some more. I didn’t get to our hotel [about an hour further down the road] until about one in the morning. I slept part of the way in the car the next day ;). Some time soon, I need to post pics of the rest of our summer. Two kids on swim team. Two taking swim lessons. A now-6yo [as of last week!] who refused to even bob [go under and back up] in water an inch too deep on a Tuesday but was going off the diving board by the next Wednesday. And not just any diving board. The high dive!!! But for now… I have eight scenes left to write in an expansion of last year’s NaNo project [taking it from 56K words to 85K words]. Four today. Four tomorrow. Doable, yes? I sure hope so! I’m ready to be done with this part of it! I even /gasp/ plotted!!! Me and Amy – it’s an iPhone pic, after midnight, but still so glad I have it!